Eldey Airport Hotel has 50 rooms, all equipped with a cable TV, free wifi, blanket, bathroom, hairdrier, closet and safe. All bathrooms have a bathtub and shower, with complimentary shampoo/shower gel. 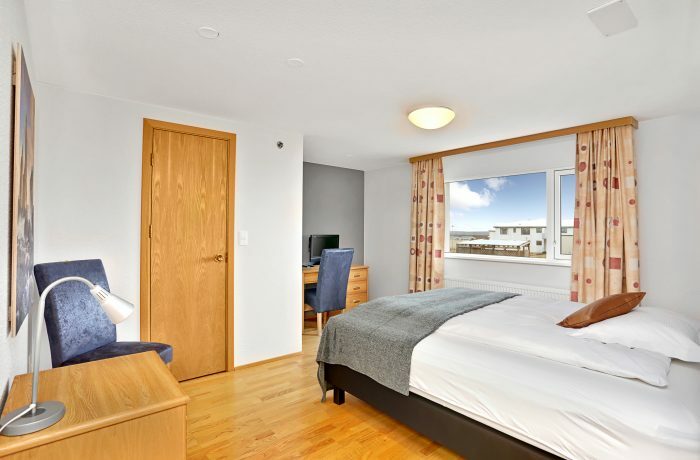 The double/twin deluxe rooms have recently been refurbished, decorated with photographs from the Reykjanes penninsula, with amenities including a large screen TV and hairdrier.